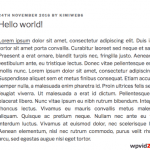 Update on September 6th, 2014: I updated the screenshots to WordPress 4.0. 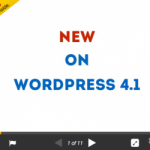 I have recorded early video using Alpha version, now the official WordPress 4.0 called, “Benny” version is released. You can check out this official page for the new features, both for the users and developers. It seems the front end editor isn’t included yet, it can be featured on the next version. I’ve installed this beta version in local machine, click here if you are using Mac to see how we can install WP locally (any versions) and for those who use Windows machine, you can visit this post. 1. The language options before installation. 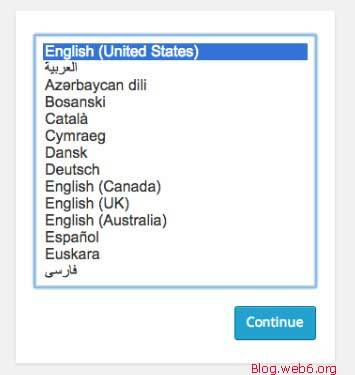 This option enables you choosing your preferred language when you want to Install WordPress, it reminds me of installing OS in a Mac somehow. 2. Site Language option in “General” → “Settings” if you choose another language before installation in feature (1) above. 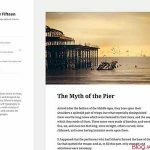 WordPress 4.0 new features improves the “Media” which will include “Grid view” and “Bulk Select”. This you can see when you go to “Media” inside dashboard in admin page. Also, when you click one of your image, it will enable easier navigation arrows to edit one image to the other. 4. New Plugins page look. Different new appearance of “Plugins” page that you can see when you “Add New” plugin inside your dashboard, with so much details, and new look which is similar to the plugin page itself in WordPress plugins directory. After clicking “More Details” on a plugin. You can view “Ratings” and other info as shown in WordPress plugin directory page. 6. Editor – Sticky Post Editor and Option to have 1 or 2 Scrollbars. The post editor now doesn’t have second scroll bar by default, which also means, you will have the option to enable the Resize icon and 2 scrollbars in “Screen Options” on the top. By default, when you scroll down to the bottom of your page, the “Text editor” of the post editor will “stick” until we can’t see the post editor area anymore, then it will follow your browser’s scrolling. I am using Chrome browser in the video and images in this post. Although it’s still be found inside the “Customizer” this Widget’s own panel looks more organized in its separated panel, after you click on “Widget” button. 8. Embed view in Visual tab. 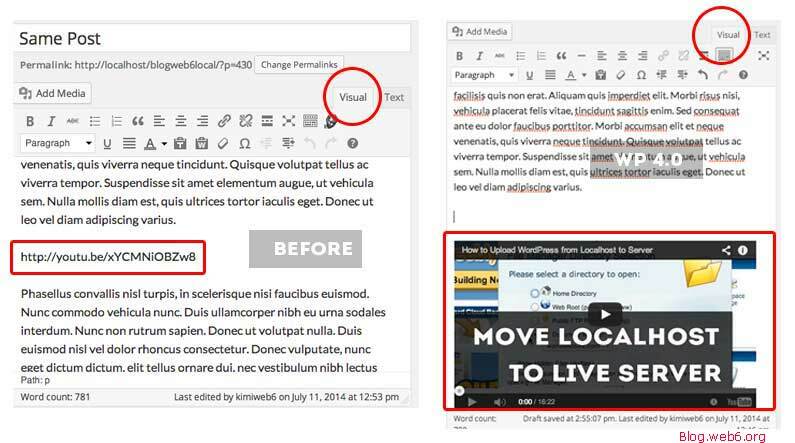 In the old version, say, you want to embed YouTube videos or supported Oembed sites, you paste the URL, it will not show the preview or the thumbnail in your post, although it will display the video thumbnail in the front-end. Now with this version, as soon as you paste the URL, you’ll see the thumbnail of the video. 9. 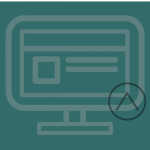 Visual preview – Insert from URL. In the older version, when you want to add media from external URL, you can see the preview when you add an image URL, in WP 4.0, you will be able to see image or videos embed preview (any Oembed supported media). When you want to install another theme, you go to “Themes” and then “Add” choose any themes you haven’t installed, it will bring you to the new themes previewer with arrow navigation. So you can preview all of them without going back to the dashboard and click another themes. 11. The color picker is back. The color picker was removed, and now it is back again. According the featured plugins page, there will be new front-end editor feature in the next WP version, if not the 4.0 then the next versions. Also the “Admin Help” is estimated to be there as well. I just hope that this “often appearance updates” will not overwhelm WordPress user newbies. 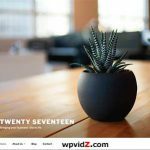 Thank you for your WordPress 4.0 overview. I was expecting more from the latest version. After all, it is a major release. The visual editor could of been enhanced in many ways. For now, I will have stick with my plugins to enhance my user experience.